LIKE the first days back at school after the summer holidays, the junior rugby season stuttered along over the week-end. In the Transfield Cup today the Newcastle West v St Mary’s game was called off because of a bereavement in the city club while Abbeyfeale advanced to the final of this historic competition for the first time since 1977 thanks to their 29-14 victory over St Senan’s. The Limerick side dominated for most of this game and scored four tries, Michael Enright, John Ward, Kieran McCarthy and John Forde all dotting down. Derry O’Connor kicked a conversion and a penalty while Stevie Daly also landed a brace off the conversion tee. The re-vamped Munster Junior Challenge Cup qualifiers also got going over the week-end. 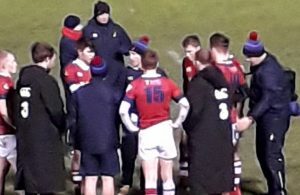 Thomond received a walk-over from Nenagh Ormond while Shannon had a 53-0 victory over UL Bohemians, made up of nine tries and four conversions. Shannon also showed form in the McInerney Cup, beating St Senan’s 29-11. On the scoresheet for the Parish boys were Diarmuid Cassidy two tries and one each from Johnny Bedford and Robert Browne. Former St Mary’s player Ben Sargeant kicked three conversions and a penalty. It was good to see Presentation back in action and they put up a great show before losing to Richmond. The first half was scoreless but tries from Ross Walsh, Gareth O’Hanlon and Niall Benson gave the green and whites a hard-earned 15-0 victory. In the senior ranks yesterday, Old Crescent got through to the next round of the Bank of Ireland Munster Senior Cup thanks to an impressive victory over Thomond in Rosbrien. The home side were again in fluent try scoring mood and coasted home on a scoreline of 41-17. Scores for Crescent came from tries by Donal Murphy, Brian Tuohy, Shane Mullally, Kevin Doyle 2 and Cian Reale with Ronan McKenna, in good kicking form, contributing the rest of the points. Thomond replied with three tries, one converted. 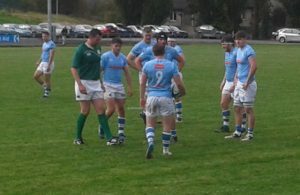 UL Bohemian suffered their second cup defeat of recent weeks when they were beaten by Cashel, 16-26, in Annacotty. The Tipperary visitors sprung out of the blocks from the off and they led at the break by a comfortable 14 points. Bohs upped the pressure in the second period and scored a penalty and a converted try but a fourth penalty by Jason Newton ensured victory for Denis Leamy’s charges. In the other games played in the cup on Saturday, Dolphin got the better of a battling Midleton by three points — the only score of the day — and Highfield proved too good for Nenagh Ormond, running out 34-10 winners. In the next round of this competition, Old Crescent will meet Highfield and Cashel face Dolphin.